Green bean bundles make great side dishes as well as finger foods for parties. The green bean is not only delicious but it is also approved for most diets. 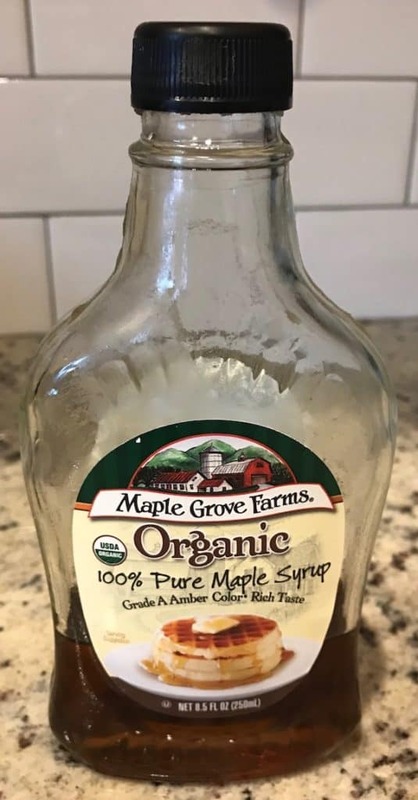 Add the bacon and a little something sweet, and you have total yum! Additionally, they’re extremely versatile, which is why I purchase them in all forms—fresh, frozen, and canned. Each recipe calls for something different. For example, a green bean casserole is best when it’s made with French-cut canned beans. However, if you prefer crisp but cooked green beans, you can’t beat the fresh version. When I make the bundles, I typically use fresh green beans. My daughter, on the other hand, prefers making them with canned ones. It’s all a matter of taste, so try both out and decide which one you prefer. I have to admit that her version is easier because you don’t have to steam the green beans since they’re already cooked and salted. Green beans provide quite a bit of vitamins A, C, and K, while the bacon adds flavor and makes you want to eat more. And that’s a good thing, right? 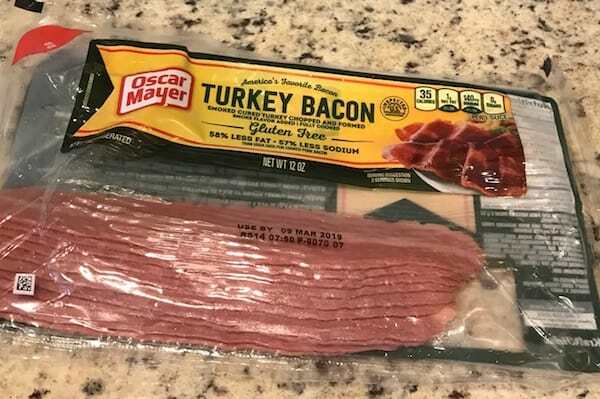 Either make these with regular bacon or turkey bacon. I prefer turkey because it isn’t as greasy, but they’re both delicious. Whether you serve them as appetizers or on a snack buffet, green bean bundles with bacon and brown sugar or maple syrup will delight your guests. 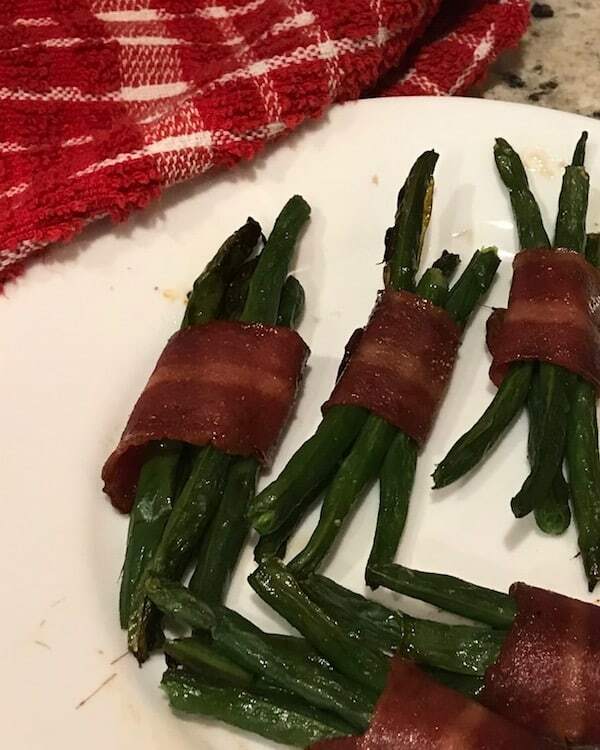 My daughter prefers hers made with brown sugar and butter, while I typically make green bean bundles with bacon and maple syrup. Either way provides a delicious blend of sweet and savory. In addition to being easy to make, these little powerhouse snacks will be one of the first to disappear off the buffet table. Make sure you have enough for everyone to have at least a couple. 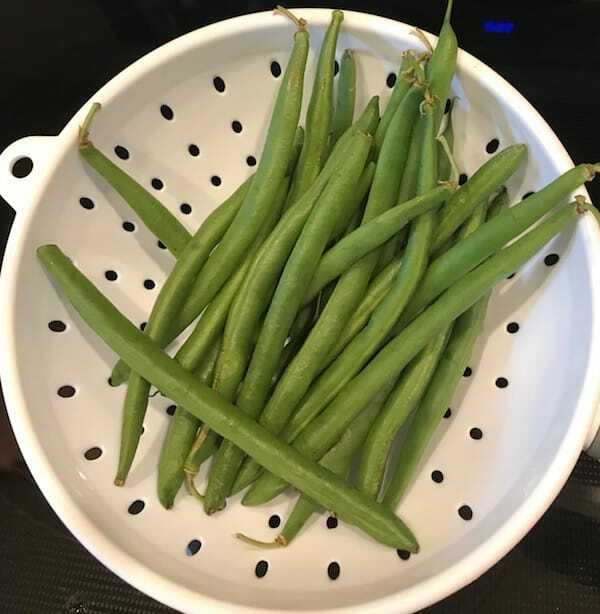 If you use fresh green beans, snip the ends and rinse them well. If you choose to make them with canned beans, drain and rinse them to remove some of the salt. Steam them until they are slightly tender. It’s quick and easy to do this in the microwave. I like for them to still have some snap to them, but you may prefer a softer bean. Cut the bacon strips in half and cook until it is half done. Once again, I use the microwave to save time. Lay the half-cooked bacon on a preparation platter or board. 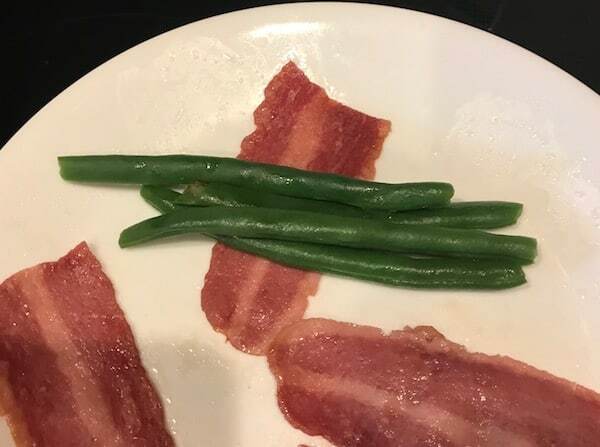 Place four green beans on each of the bacon strips. 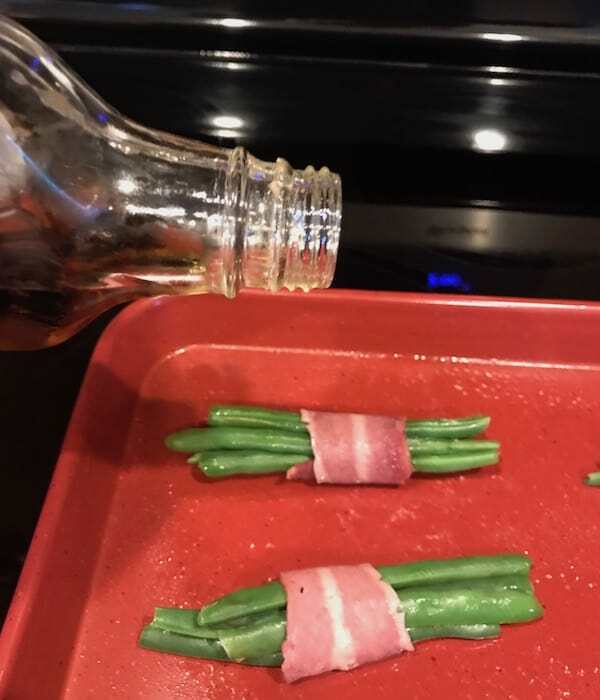 Roll the bacon around the green beans. Normally, the bacon will stay put as it cooks, but just in case, you may want to secure it with toothpicks. Drizzle maple syrup over each of the bundles. If you prefer the brown sugar and butter instead, melt the butter and mix with the brown sugar. Pour or brush it over the bundles. Add a touch of seasoned salt if you use fresh beans. Canned beans are salty enough for most people. 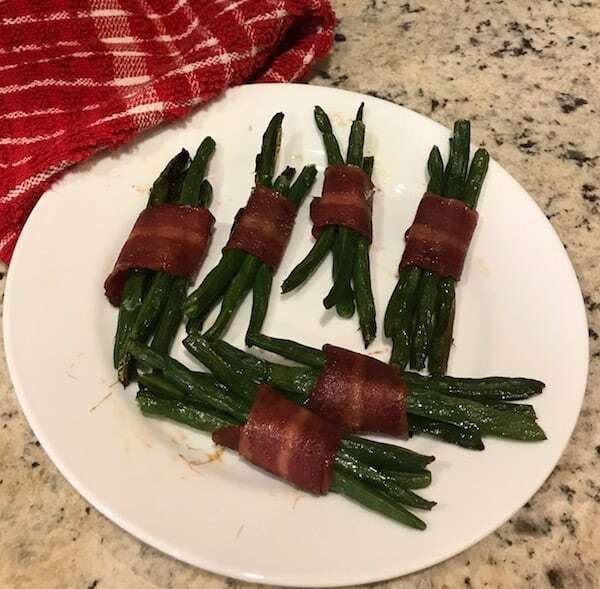 These green bean bundles with bacon and maple syrup are delicious. These will be a huge hit at any get-together. Afterward, prepare yourself for recipe requests from your guests. You can serve these little bundles of deliciousness in so many ways. 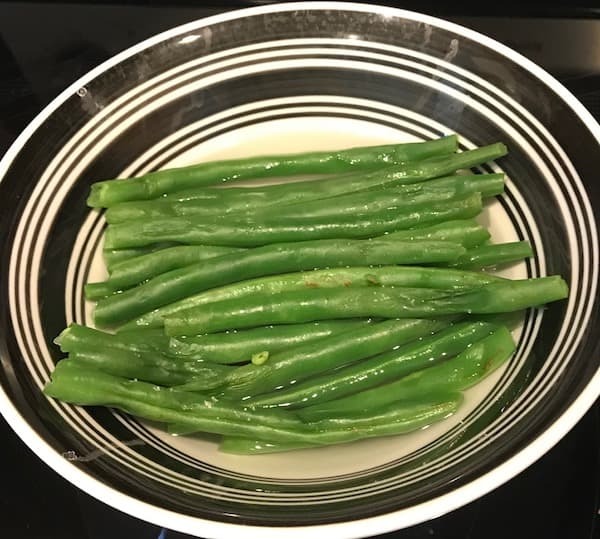 Whether you stack these green bean bundles high on a single serving platter or arrange them on a three-tiered platter be prepared to replenish often. Green bean bundles with bacon have the perfect balance of savory and sweet. Preheat oven to 375 degrees. Spray nonstick cooking spray on a baking sheet. Rinse the green beans and snip the ends. Steam them until they are slightly tender but still have a snap. Slice the bacon strips in half. Cook until half done but still pliable enough to wrap the beans. Wrap the half bacon strips around bundles of 4 green beans. Place the bundles on the baking sheet, being careful to keep them wrapped. You may use toothpicks to hold the bacon in place if needed. Drizzle or brush the maple syrup or brown sugar and butter mixture over them. Lightly sprinkle all of them with seasoned salt. 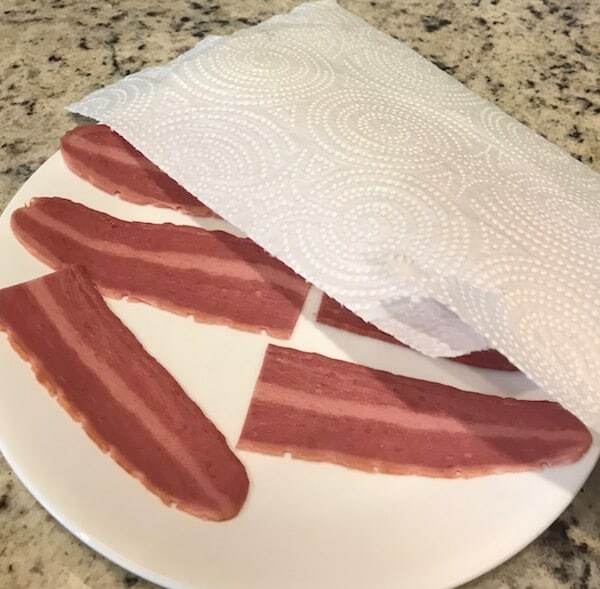 Bake for 30-35 minutes, until bacon is done.